"This year, there's a new spirit of vitality and youth in the Sixty-Two Coupe" was how Cadillac promoted the new 1963 car. It was a year that saw some revisions to Cadillac's overall look. Parking lights were moved out of the bumpers into small grilles that matched the main grille. Tail fins were reduced and the body lines smoothed out - it was a much simpler but bolder look. 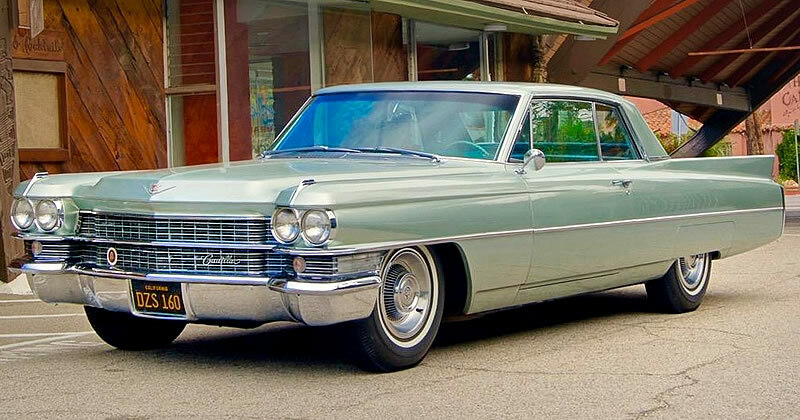 If you like green then you'll love this Basildon Green, 1963 Cadillac Sixty-Two Coupe. 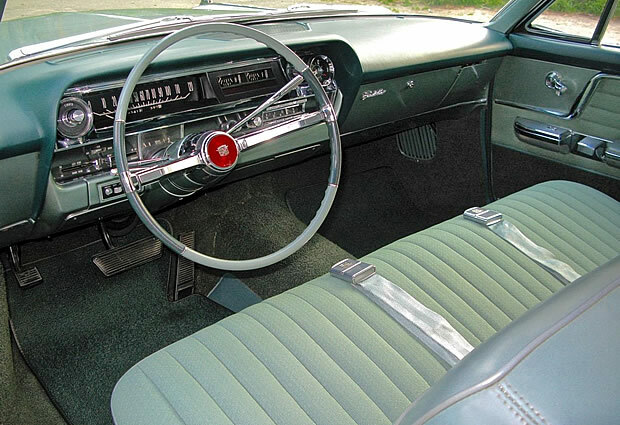 It's green inside too, and transports you back to the early sixties once you are behind the wheel. The flatter lines of the 1963 Caddy can be seen more clearly on this side view. It is far smoother looking than the previous two years. The wheelbase is 129.5" and overall length is 223" - that's just over 18 and a half feet. Power comes from a 390 cubic inch V8 producing 325 horsepower. As with all Cadillacs of the time it is paired with a Hydra-Matic Drive automatic transmission. As you'd also expect from a Cadillac, power steering and power brakes were standard. Although as the base Series the original buyer of this car opted for power windows at $118, a 6-way power seat at $113 and air conditioning costing $474. Cadillac produced 16,786 Series Sixty-Two 2-door Coupes for the 1963 model year at a base price of $5,026.